It has been nearly 3 years since the oak tree that is the heart of the Symmetree project was toppled by Storm Katie. During this time, the wood from the tree has been seasoning and I’ve had the opportunity to reflect and consider how to put it to good use. 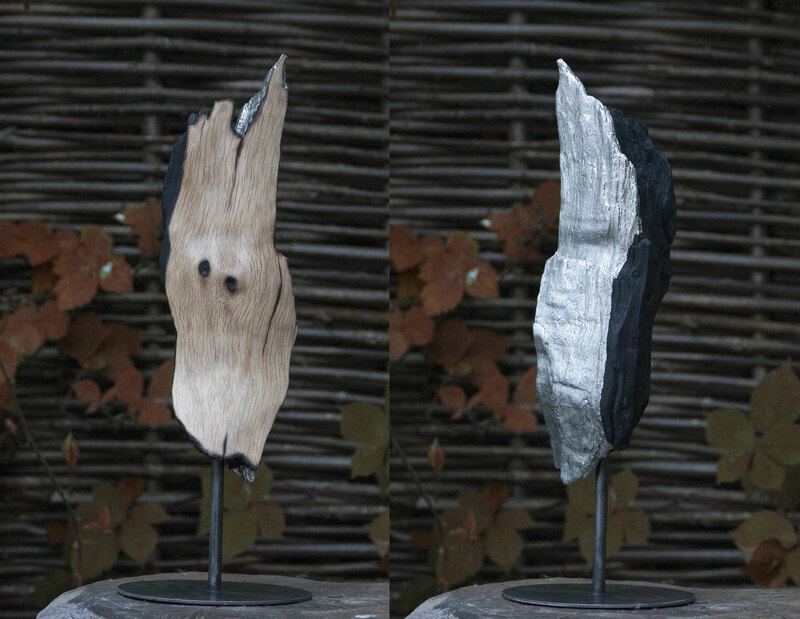 When the tree fell some of more brittle branches snapped under the enormous pressure, producing small fragments some of which have become sculptural pieces, currently available from Beumée Contemporary Fine Art. 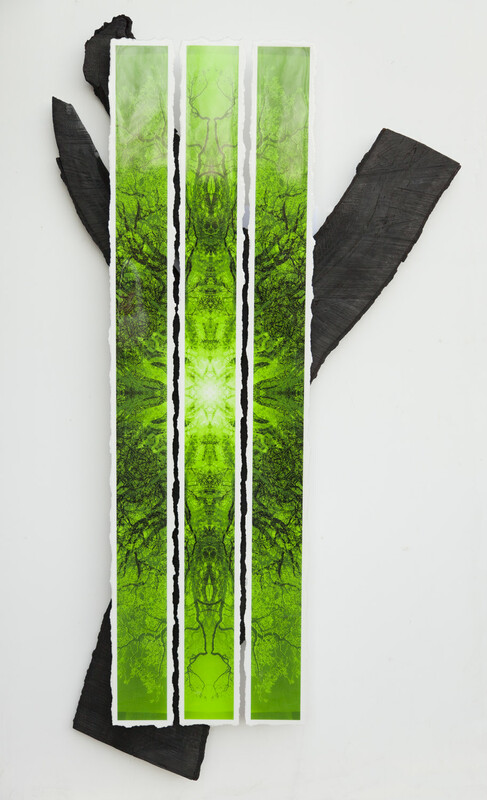 Following on from the sculpture work I’ve been investigating a number of different ways of combining the photographic and digitally manipulated work with parts of the natural wood from the tree. One of these experiments has so far produced two pieces. 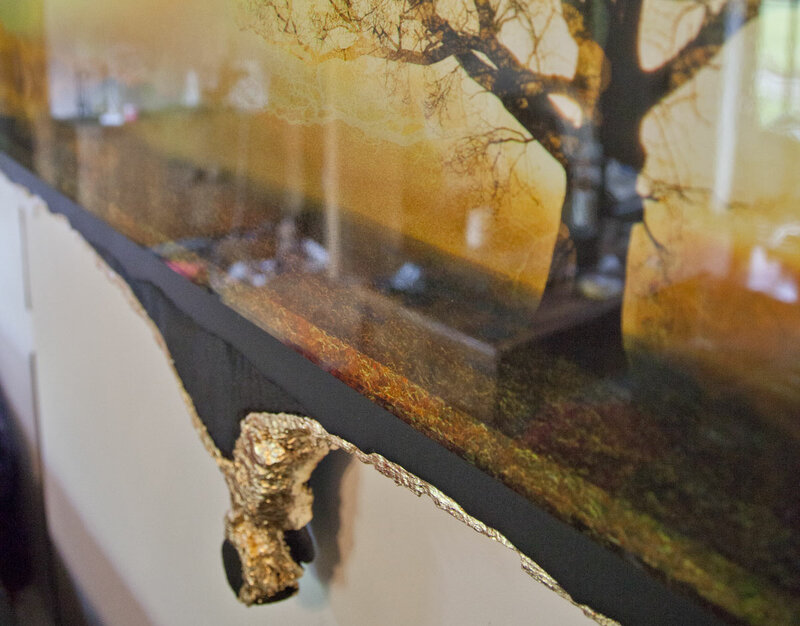 With these pieces the treated wood forms a backdrop to the photographic work. 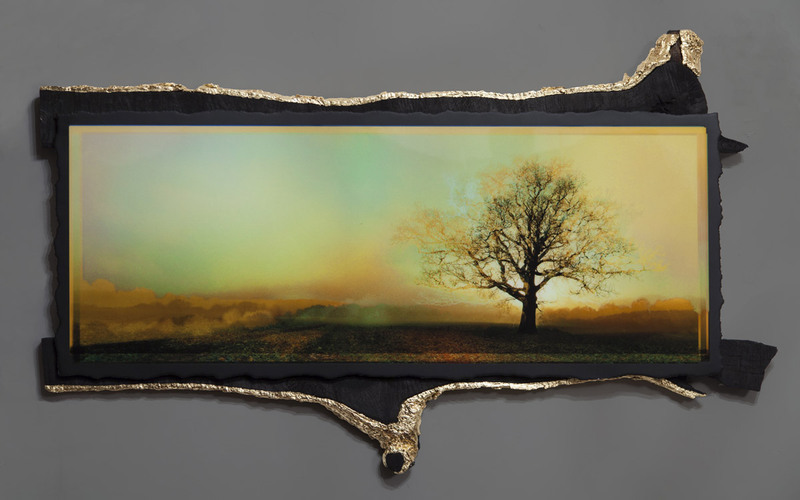 Like many of the pieces I’ve produced, I would like to think that they work together to create a visual epitaph in memory of the oak trees relationship with the landscape that it helped define. I don’t have a record of the history of the tree but I do know that it grew for an estimated 300 years. I would think that it struggled along the way to adapt to the changing landscape and effects of climate. I’m continuing to experiment with the combination of photographs and wood which I’ll document on my Facebook feed, Instagram feed and this website blog.